Top Quality Resale Cyprus Properties offered by owners, Southern Cyprus Only! We have personally inspected all these properties to make sure you only view the best quality Cyprus homes for sale. If you like property you see below just click on the - more details link or the property image. You will be taken to that property page. Just Arrived!! Quality Cyprus property for sale, 3 bedrooms, 2 shower rooms, 1 large bathroom. 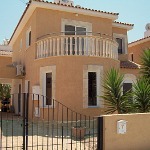 Link detached resale cyprus villa, built by good local cyprus property developers. 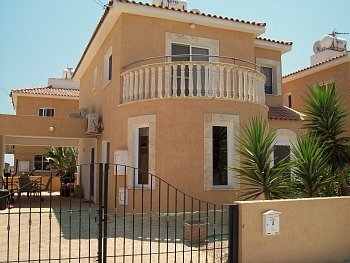 Ideal property to buy as a permanent residence or a Cyprus holiday villa. Just Arrived!! Town house property for sale by owner in Xylofagou. 2 Bedroom, offered fully furnished with satelitre tv and a car. 1 of 3 townhouses. 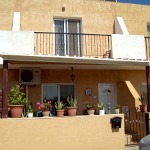 Affordable Cyprus Apartment in Liopetri. Fully furnished, 2 double bedrooms, large bright living area, communal pool, 5 minutes walk into town with many amenities. Delightful, fully furnisded, 2 bedroom bungalow for sale, with a larger than average private pool. Situated in a quiet residential area which is only a short 5 minutes walk into Xylofagou town centre. Immaculate 3 bedroom detached cyprus villa with private pool for sale by owner in Southern Cyprus. 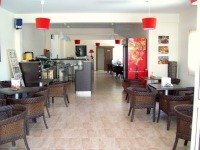 Located in Xylofagou, 30 minutes Larnaca airport. Beautiful Ayia Thekla Villa, 3 minutes walk to the beach Three Double Bedrooms, large private swimming pool, spacious outdoor bbq and dining area, large sunbathing space, pool side shower, undercover parking to one side. Ideal luxury property if you want to buy Cyprus holiday villa. This Cyprus beach apartment is located on Mackenzie Beach in Larnaca a Blue Flag Beach. 2 bedrooms, open plan living area with magnificent seaviews. You can literally walk from the apartment building, through the garden and straight onto the beach. If you prefer to extend your search on the internet I have placed a google search box at the bottom of the page for your convenience. Just type your search term, click the search button and away you go. let me just say..., thank you for stopping by and I hope you'll come back again to see new site updates. Why not subscribe for free to my RSS feed. Just click on the RSS buttom on the left of the screen near the bottom. You will be the first to see new and updated pages. Quickly find the information your looking for here!